Nick Hilliard is senior partner at Island Bridge Networks Ltd and CTO at INEX. He has specialized in advanced internet network design and engineering since the 1990s. 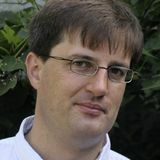 He's an active contributor to global Internet technical and policy forums such as RIPE, the IETF and Euro-IX, and has authored some interesting policy documents and RFCs, including BGP Large Communities and formal specification for IXP route servers. He is part-author of IXP Manager, the open source IXP management platform, used by an estimated 10% of IXPs around the world. He lives and works in Dublin.